Newsham Community Matters has been nominated for a national award. A community project in Blyth, set up to tackle anti-social behaviour and low levels of employment, has been nominated for a national award. 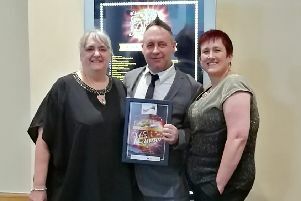 Newsham Community Matters, set up by Northumberland County Council’s housing service, has been nominated in the Tpas (Tenant Participation Advisory Service) North Region awards in the Excellence in Community Action category. The project was set up in March 2017, following consultation with residents in the area to establish community issues and suggestions for improvements. From this, a series of themes was developed – Youth Matters, It Matters and Practical Matters – and activities, groups and classes were set up to support these themes, including a learning hive, lunch club and a community allotment. Youngsters have also benefited from a programme of activities developed by the British Army Reserves and Silx Teen Bar. Coun John Riddle, cabinet member for housing at the council, said: “We are delighted to receive this nomination for a project which everyone involved can be proud of. “We listened very carefully to the concerns and issues raised by the community and have endeavoured to develop a project which not only addresses these, but also instills a sense of pride in the area. The awards ceremony will be held in Manchester on Friday, and the winners will go on to the national awards in July.